Labor activist As'ad Behnam Ebrahimzadeh has been sentenced to five years in prison without due process. Labor activist As'ad Behnam Ebrahimzadeh has been sentenced to six years in prison (of which he must serve five, subject to appeal) and ordered to copy three books by hand for engaging in peaceful activities including attending protests by sugar mill workers in southwestern Iran. Ebrahimzadeh told the Center for Human Rights in Iran (CHRI) on March 16, 2019, that his trial lasted only 10 minutes, that he was not allowed time to prepare a defense and that he was denied access to a lawyer. "In court I complained that according to the law, I should have been given a week's notice to prepare for the trial and have a chance to appear with a lawyer," he said. "But the judge said I don't need a lawyer." Arrested by agents of the Islamic Revolutionary Guard Corps' Intelligence Organization in Tehran on December 12, 2018, the 41-year-old was held for 35 days mostly in solitary confinement in Evin Prison's Ward 2-A before being transported to court without prior notice or the presence of his lawyer. During a 10-minute trial in February 2019 at Branch 26 of the Revolutionary Court in Tehran presided by Judge Iman Afshari, Ebrahimzadeh was sentenced to one year in prison for the charge of "propaganda against the state" and five years in prison for "membership in illegal organizations." After the application of Article 134 of the Islamic Penal Code, Ebrahimzadeh would serve five years of that sentence, subject to appeal. The indictment referred to political comments Ebrahimzadeh had made on social media, his criticism of government relief efforts during a recent earthquake in western Iran, and his presence at demonstrations by Haft Tappeh sugar mill workers in Shush, Khuzestan Province, who were protesting for unpaid wages, Ebrahimzadeh told CHRI. Ebrahimadeh previously spent seven years in prison until his release in June 2017 for charges related to his trade union activities, advocacy of children's rights, and for calling for the release of political prisoners. 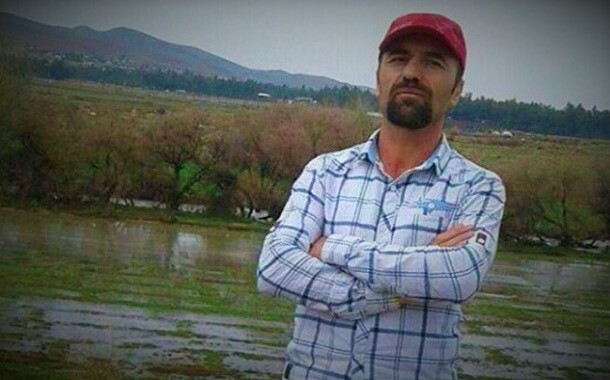 Meanwhile, the lawyer of imprisoned labor activist Jafar Azimzadeh has appealed a flogging sentence against his client. "Following a decision by Branch 1190 of the Criminal Court in Tehran to flog Jafar Azimzadeh 30 times allegedly for being absent after spending time in furlough, I have lodged an appeal that will hopefully result in his acquittal," attorney Mohammad Ali Jafari Foroughi told the state-funded Iranian Labor News Agency on March 16. The United Nations has declared flogging a cruel and inhuman punishment tantamount to torture. 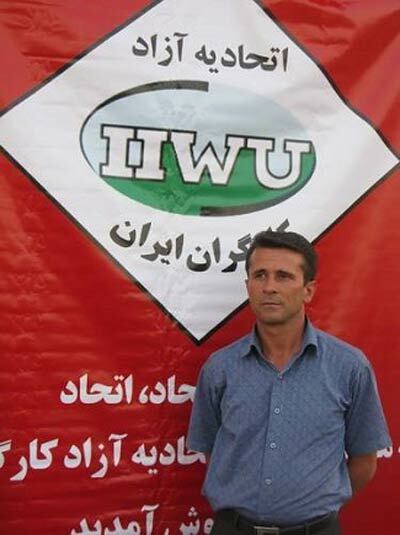 The secretary general of the Free Workers Union of Iran (FWUI), Azimzadeh was arrested on January 29, 2019, to serve the remaining five years of his six-year prison sentence issued for his peaceful defense of worker's rights. He was released from Evin Prison for medical reasons on July 2016 after a 64-day hunger strike. The authorities claim he was granted furlough (temporary leave) and never returned to complete his prison term. "Flogging a worker only makes sense to insane plunderers who think we are their slaves," the FWUI said in a statement issued on March 19 in condemnation against the court's decision.